One of the largest tobacco manufacturers, Prime Time International introduces new Gold Rush Large Cigars which features three classic flavors including Menthol (Green), Mild (Blue) and Red (Original). Each carton is made with high quality natural tobaccos and other premium non-tobacco ingredients. This combination creates a smoke that is smooth and pleasent when it comes to taste and aroma. 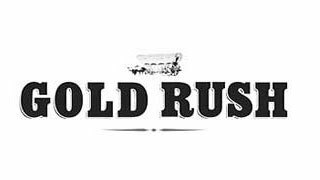 This also makes Gold Rush Large Cigars the perfect choice for price-conscious consumer who are looking for a good quality smoke at a budget friendly price. Gold Rush Large Cigars Red features an original, classic tobacco taste for smokers who prefer more a traditional cigar taste. The Blue (Mild) variant provides a smooth and mild taste that isn't overwhelming. The Green (Menthol) flavor presents a relaxing smoke with cool menthol flavors. All Gold Rush Cigars are packaged in 10 Hard Packs of 20 filtered cigars measuring 3 7/8 inches in length with a ring gauge of 20.